← All change on Whitehall Road! Leeds has taken the next step to securing major new flood defences after councillors granted the scheme planning permission in principle. Proposals for the £50m Leeds Flood Alleviation Scheme include the removal of a 600m section of Knostrop Cut to merge the canal and River Aire. Flood defences consisting of walls and landscaping will be installed at various points along the River Aire from Water Lane in Holbeck to Woodlesford, including a new pocket park near Asda’s multi-storey car park. Councillors heard the city had narrowly avoided major flooding three times in the past six years. 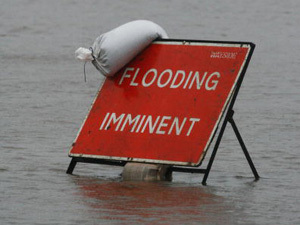 Estimates have suggested that around 3,000 homes and 500 businesses are within the flood plain of the River Aire, and any major flood could cause £400 million of damage. Apparently where the defences are greater than 1.1m, ground levels are also raised locally to minimise the visible height of the defence. Kippax and Methley Labour councillor James Lewis questioned whether the work would impact on the popular Transpennine Trail walk and whether the flood defences would cause problems at different parts of the Aire. He said residents in Allerton Bywater and Methley were particularly ‘nervous’ having narrowly avoided problems in previous years. Planning officers reassured him that there would be no impact on the Transpennine Trail and that research showed the floodline for Allerton Bywater and Methley was no higher with the new scheme. Meeting chairman Cllr Neil Taggart added that in some areas the flood defences would actually improve the city’s waterfront. The plans were approved in principle and will be referred to the Secretary of State for the Department of Communities and Local Government for final approval. Councillors previously agreed the removal of the two existing weirs, Leeds Weir and Knostrop Weir, and a replacement with two movable weirs. Read more about the full scheme here. This entry was posted in Uncategorized and tagged Allerton Bywater, Elizabeth nash, flood defence scheme, holbeck, James Lewis, Knostrop Cut, leeds, Leeds Flood Alleviation Scheme, Methley, Neil taggart, River Aire, Woodlesford. Bookmark the permalink.